Applying the principles of kinetic typography to Devanagari-The alphabet of India. Does this technique look familiar to you? You have seen this before many times. In music videos, TV commercials, news channels. Words swooping into the screen with contemporary graphics while a narration runs in the background. The technique is called kinetic typography (fancy way of saying “moving text”) . In this visual era, information needs to be presented in a way that attracts and holds our ever diminishing attention. Animation gives the creator full control and endless possibilities to dictate how the audience views the presented information. With kinetic typography text is presented through animation in a manner intended to convey or evoke a particular idea or emotion, generally accompanied by spoken word or music. In 1899 french filmmaker George Melies- introduced Kinetic typography in the form of extensive use of the “stop-motion” effect. This enabled him to tell stories thought to be impossible for the nascent medium. Since then we have noticed kinetic typography make its presence felt in film sequences, advertising and web design. Some examples of memorable film titles where motion text has been used are Hitchcock’s ‘North by Northwest’, ‘Psycho’ , many of Walt Disney’s works and Se7en. A still from “Se7en (1995 film) titles sequence. The written word is one of humanity’s most powerful and significant inventions. It would be interesting to see if Devanagari, one of India’s most important and widely used scripts can be merged with kinetic typography and how it will make an impact. When we look at kinetic typography results on the world wide web almost everything features in the english language. However it’s difficult to find kinetic typography effectively used with Devanagari script. Unlike the latin script(english), Devanagari is a very complex and vast language and bringing it to motion can be confusing. A reason can also be that kinetic typography is still growing in India. The good news is that more and more experiments are now taking place. A very interesting example on Youtube was “A Stupid common man- A wednesday(kinetic typography)” by Jugaad Animation and several other vernacular news channels who are using kinetic typography daily. Motions of kinetic typography have many patterns. The pattern of kinetic motion has ‘movement’, ‘rotation’, ‘appearance’,‘modification’, of a simple substance character. Moreover, a pattern may express the relation of two or more characters. 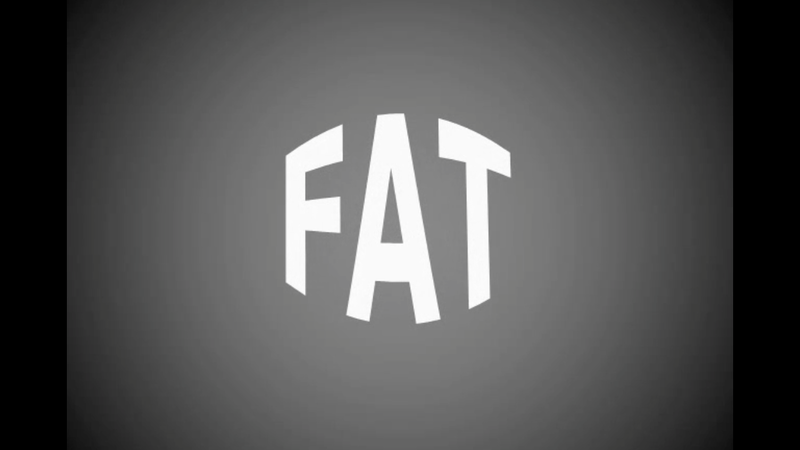 Useful techniques from traditional animation have adopted kinetic typography too in the form of slow-in slow-out movement, squash and stretch, movement in arcs, anticipation, follow-through and secondary action. 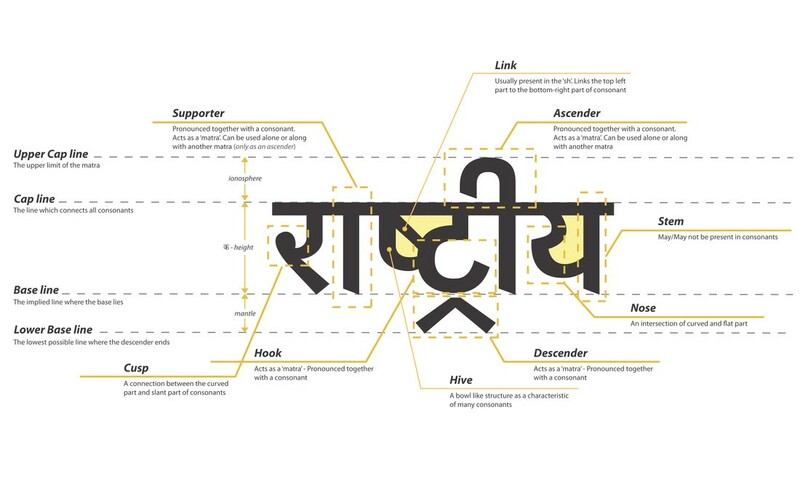 The reason why we are discussing this structure and the animation techniques is to determine whether we should be hopeful about motion typography with the Devanagari text. The type of motion (linear or nonlinear) and the type of technique depends on the nature of the content and also on the complexity of the alphabets which will be communicated through animation. Owing to the complexity of the Devnagari alphabetical structure, motion typography might become a tad too hard to be perfected but looks rather fetching. Language plays an important role in framing perception. The goal is to build familiarity with the way the content comes across to the viewership. It is far easier to connect to a patronage when we harness the power of the language that they speak. And if a technique like kinetic typography can contribute to getting massive amounts of data and statistics to an audience in the most effective way, that too in their own native language then nothing better than that. A script as ancient as Devanagari which is used to write 120 languages and in which all languages such as sanskrit, hindi, nepali and marathi have their origins already has an audience base that will gladly devour any engaging content they come across. And kinetic typography will surely make a difference within such content by providing lively, animated and creative retainable experiences. A story worth telling always finds its followers.